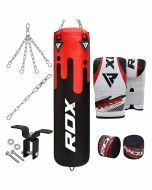 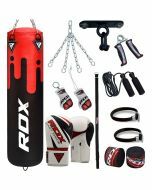 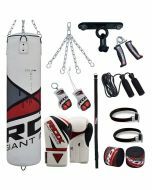 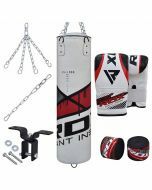 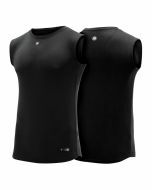 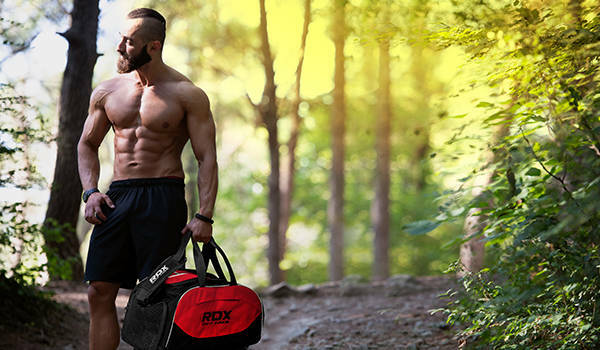 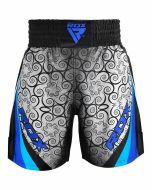 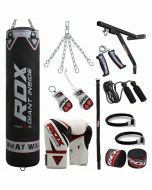 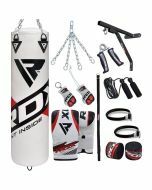 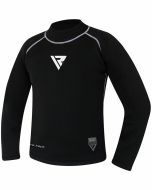 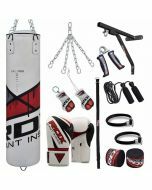 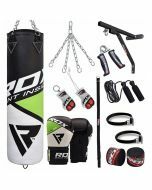 RDX encompasses all your training needs with this exclusive 8 piece boxing set! 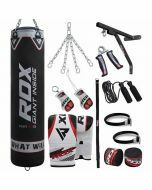 Hang your Zero Impact G Force™ Maya Hide™ leathered punch bag that can hold up to 16-20 KGS (app.4ft long) and 20-24 KGS (app. 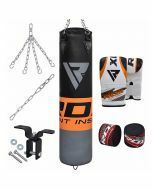 5ft long) on heavy gauge welded D-ring with four heavy duty suspension chains. 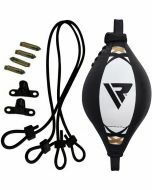 Rust-proof ceiling hook comes with all necessary screws, bolts and fittings. 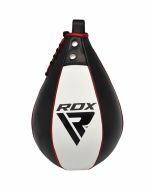 And to get you started immediately, RDX gel-foam standard punch bag Patent pending gloves so that you can start throwing strikes without a minute to miss!